This course is suitable for all school staff, both Teachers and Support Staff. HSE, DFE and Ofsted compliant. Training is held at your school - On your chosen date. Anyone over the age of 16 at your school who may need first aid skills. All courses include Epi-Pen administration training and cover the latest guidance surrounding Asthma Inhalers. The cost of this course for up to 12 candidates is £350.00 + vat. These prices include Aid Training certification and a manual for each delegate. If you have more people to train we can to send 2 trainers and train up to 24 delegates for £650 plus vat. Why not select key members of your first aid trained team to take a “top-up” online course to gain the 12 hour Paediatric first aid certificate – just £21.50 (inc. vat) per person – This is Ofsted (EYFS) compliant and means even less time away from school! First Aid for schools do you need more info? 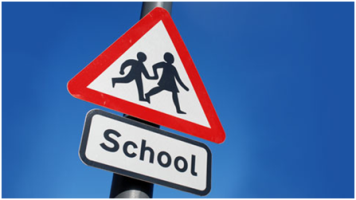 If you need any help or have any questions regarding First Aid within a school environment, you can call us on 01985 843100 for a chat. Alternatively, drop us an email info@aid-training.co.uk and we will get in touch.